This project invited the public to engage imaginatively with ancient warfare through ancient pottery. A vase animation called Hoplites! Greeks at War was created from the scene on an ancient vase. 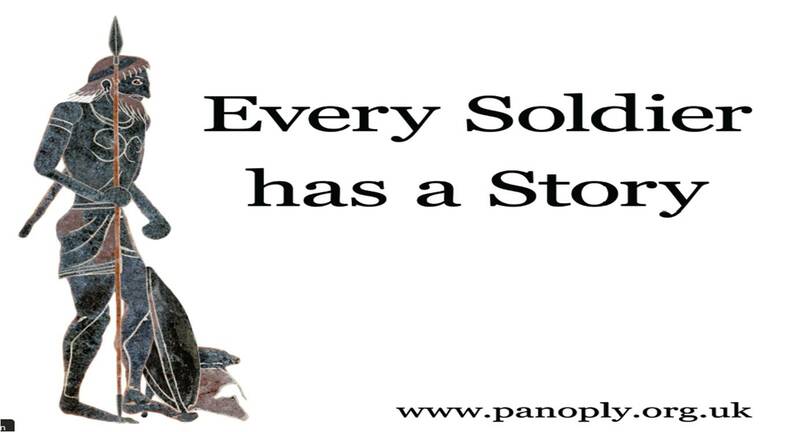 It shows a soldier preparing for war and then joining his fellow soldiers in battle. 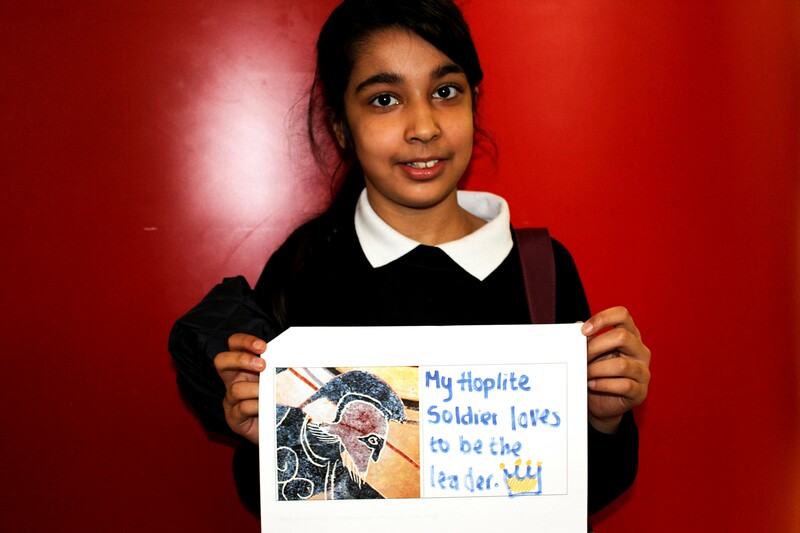 Through workshops and drop-in sessions with schools, clubs, and businesses, people explored their own ideas about who the soldier might be and what he thought about war. On the project page, you can see people’s ideas and artwork as well as the animation itself and information about ancient warfare and the vase the animation was made from. The highlight of the project was a special public event at the University of Reading. Hoplites! was shown for the first time, along with a project exhibition and a performance of live music by the Thiasos Theatre Company. You can read an analysis of the depiction of warfare in Hoplites! in ‘Animating Ancient Warfare: The Spectacle of Warfare in the Panoply Vase Animations’, in War as Spectacle, (Bloomsbury 2015). Sonya Nevin is a Research Fellow at the University of Roehampton, working on Military Leaders and Sacred Space in Classical Greek Warfare: Temples, Sanctuaries and Conflict in Antiquity. She is the co-coordinator of the Panoply Vase Animation Project.